This combination class of ballet, jazz, acro and creative movement is a fun way to introduce your 3 or 4 year old into the wonderful world of dance. Teachers will begin to develop a young child's sense of rhythm and musicality by using manipulative's such as scarves and percussion instruments. Age appropriate music, along with imaginative story based activities will stimulate them while learning valuable basic dance techniques. Ballet is taught by teachers qualified with The Royal Academy of Dance (RAD), an association recognized worldwide. Classes and exams are available from pre-primary (age 5) to advanced levels. 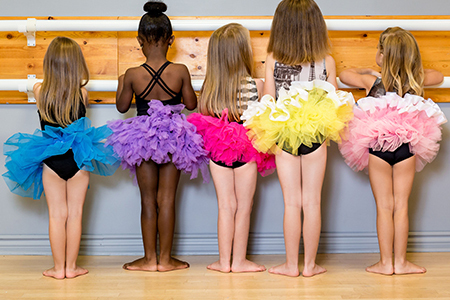 Ballet helps develop control, strength, technique, coordination, and discipline. Ballet is fundamental in the development of a dancer and is highly recommended for all dancers but is a mandatory component in our competitive program. Modern dance explores correct body placement and the ease of movement using limbering and stretching along with a variety of contemporary dance techniques. Lyrical combines the fundamentals of ballet and jazz. This interpretive form of dance uses artistry to reflect the lyrics in a song to create an in-depth emotional performance. Jazz is a high-energy form of expression, where students develop endurance, style, control, agility, strength, musicality and coordination. Exams and syllabus work is with The Canadian Dance Teachers Association. Tap is often referred to as "making noise with your feet". Our program offers a tap mix of classical Broadway style to the newest funky sounds that will develop a students rhythm, coordination and musicality. Acro is a combination of dance and floor gymnastics that will develop the dancers strength, balance and flexibility. This class is those "music video" lovers, designed for junior and senior teens. Classes are offered at a beginner and advanced level. All boys hip hop classes are also available. Musical Theatre integrates the skill of acting and the skill of dancing into a story-based play-like performance. Class content will include basic interpretive movement. 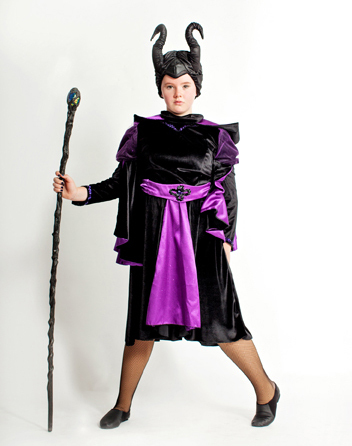 Character development through performance, improvisation based activities, story telling and some interpretation.